Stressing the commonality or convergence of views on all the topical regional and international issues between New Delhi and Moscow, Ambassador Ajai Malhotra said that India attaches great importance to its strategic partnership with Russia. 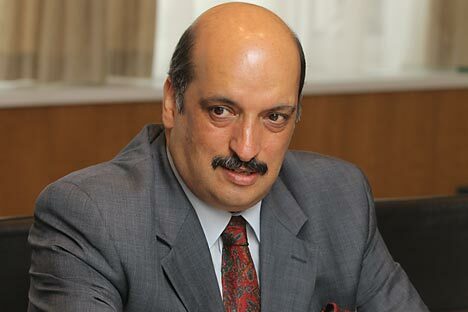 Malhotra was speaking to Moscow-based Indian journalists on the eve of Prime Minister Manmohan Singh’s regular annual summit with Russian President Vladimir Putin on October 21. The Indian prime minister arrives in Moscow on Sunday on the first leg of his visit and departs for Beijing on October 22 for his summit talks with Chinese Prime Minister Li Keqiang. “Many countries nowadays loosely use the term ‘strategic partnership’ to describe their relationship. However, it has a very deep and special connotation where India-Russia ties are concerned,” Malhotra said, adding “Our ties are unique and multi-faceted and reflect the extraordinary goodwill and trust between us and our exemplary sensitivity to each other’s strategic, security and other concerns. During the Singh-Putin summit, the sides intend to ink six agreements, relating to science & technology, energy efficiency, biotechnology, standardisation, besides a treaty on the transfer of sentenced persons. The treaty would allow individuals who have committed crimes and been sentenced by the country to be transferred to their home country. “Putin and Singh will examine prospects for joint projects in the energy sector, especially in nuclear energy, and in aircraft manufacturing, engineering, telecommunications and the financial sector. They will also exchange views on current international affairs, including the situation in Syria and Afghanistan,” the statement said. Malhotra highly praised the role of regular summits between the highest political leaderships of the two countries, recalling that Russia is the first country with which India instituted the practice of annual summits starting in 2000 with Putin’s visit to India. “This reflected a shared desire to consistently promote and guide our strategic partnership at the very highest level,” he said. In fact, Russia is still the only country with whom India consistently holds summits at the highest political level on an annual basis. The coming summit in Moscow is the 14th annual summit between the top leaderships of the two countries, held alternately in each other’s capital in a row. They also meet, additionally, in the context of the BRICS and G20 summits, or on the sidelines of other high level international conferences. “These points affirm that, in practical terms, the India-Russia strategic partnership is indeed substantive, special and privileged,” he underlined. Malhotra also noted the “fine personal chemistry” between Singh and Putin evolved through summit level talks and meetings in the past years and valuable contribution made by them to the development of strategic partnership between the two countries. “They are close friends of long-standing who sincerely respect each other, value their personal ties and admire each other’s sagacious leadership. They meet regularly and have effectively guided our bilateral ties for close to a decade,” he said.